Also out is an excellent in-depth series of free online Lightroom 4 video tutorials, approaching four hours in total running time and produced by Adobe Lightroom guru Julieanne Kost. There are 2 two-hour volumes, the first covering Getting Started with Lightroom 4 and looking at the product as a whole, and the second series focusing more exclusively on What’s New in Lightroom 4 – with close to ten chapters in each and a wide range of topics and techniques discussed… The complete playlists are below. If you don’t have the software itself yet to work with, then just use the Lightroom 4 direct download links to get the free trial instantly for either Windows or Mac OS. I use photoshop mostly as tool or a composition media for art work. Lightroom 4 is my first face to face contact with Adobe. I am a complete novice but thanks to the help available, I can already work my way through after a couple of days. Yes there is heaps more to learn, but I am happy to absorb that at my own pace. I shall keep a lookout for any further upgrades to this. Hey there Reno, thanks for your comments and glad the LR4 tuts helped! Good luck with your continued expertise in the new software. I have come across a little hiccup! Because I make so many errors in all types of software, one of the first things that I like to familiarise myself with is the undo button. Can you please point out to me where it is. Knowing me it’s probably somewhere obvious but I can’t see it !! Sure Reno, Lightroom provides several ways to undo, or reset, adjustments you make to photos as you’re working in the Develop module. You may also find the complete list of Lightroom 4 Keyboard Shortcuts helpful. Now I can concentrate on Julieanne’s Tutorials to continue with the learning process. Thank you so much, for helping us. I just bought my Lightroom 4 and I don’t how to use it. Great, glad to hear it Na, and thanks for letting us know! You may also be interested to know that Adobe just released a beta version of Lightroom 5 – so a new version is coming out… If you purchased your LR4 within the past 30 days, then (if you like) you may be able to get a refund and exchange for LR5 instead, when the final version ships. What Are the Differences in Adobe Lightroom 4 vs. 3 – What’s New? 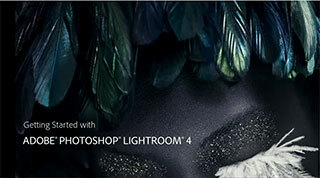 Lightroom 4 is Out, Adobe Slashes Prices! Direct Download Links.